FloorSkills – Commercial flooring training courses with recognised qualifications. Floorskills training is given under the personal supervision of the country’s leading trainers Sid and Matt Bourne. To ensure a high level of quality, FloorSkills only uses trainers who are proven in the trade and we have a select team of instructors and the help of numerous reputable manufacturers. 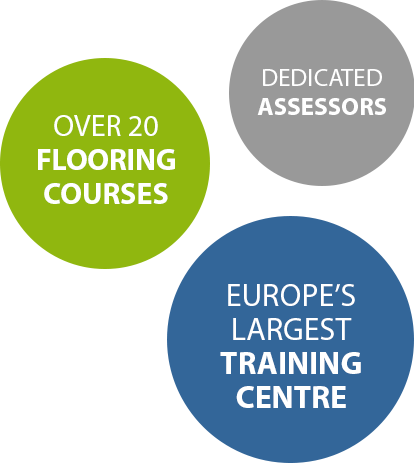 FloorSkills is Europe’s largest independent Training Centre with over 8000 sq-ft of dedicated flooring training area. We are approved by over 25 manufacturers in providing training of their products.